Pound cake with lemon, lime and freshly shredded coconut with cream cheese frosting, selective focus. Copy space. 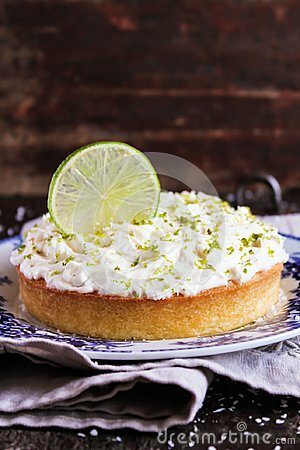 Pound cake with lemon, lime and freshly shredded coconut with cream cheese frosting, selective focus.